Our deluxe rooms are situated in the main house »The Château» overlooking a beautiful garden. The Château’s charm and grace leads to a beautiful terrace. Well equipped with a large bathroom, spacious shower and nice corner bath. All four rooms have the needed facilities. Air conditioning, ceiling fan, spacious veranda, telephone, Mini-bar, safe, Tea & Coffee Making facilities. air conditioning and ceiling fan, a veranda, large bathroom with a separate bath and shower ,IDD telephone,Mini bar,Safe,Tea and coffee making facilities. 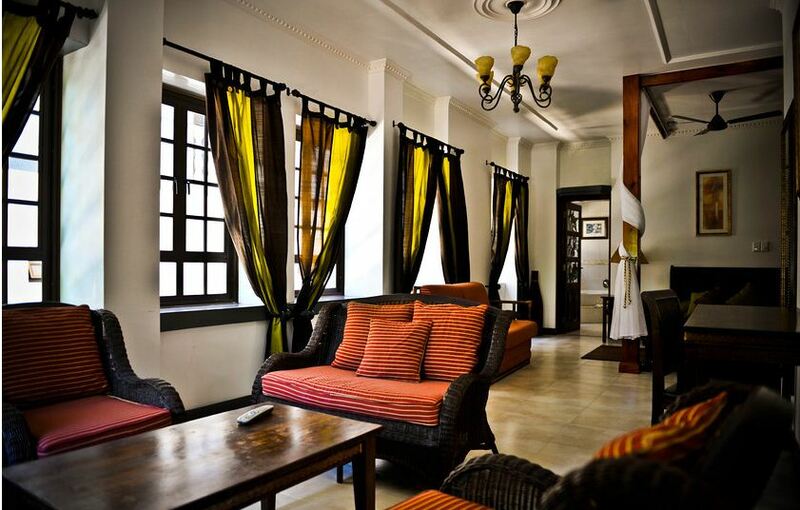 spacious veranda, fan,shower, IDD telephone, Mini bar, Safe, Tea and Coffee making facilities.